1998,Taylor Sharp, age 14, Neil Nacchio, age 17, Mike Schirmer, age 16, and Josh Canady, age 17, checkout some of the best waves in the recent history for the East Coast Surfing Championships. 2000, Morgan Faulkner, from Texas, works his toes off the front of the board as he tries to get a little cover-up on the inside during the Menehune Longboard Heat, at the East Coast Surfing Championships. 2005, Crowd on the beach watching some of the surfers in the water during the ECSC. 2013, As the tide changes at 1st street in Virginia Beach, Virginia, the afternoon surf begins to improve during Coastal Edge East Coast Surfing Championships. 2010, Amy Murphree, from Ca., surfing in the Women's Longboard Division during the ECSC. 2010, Paul West working his camera from the judges scuffling during the ECSC. 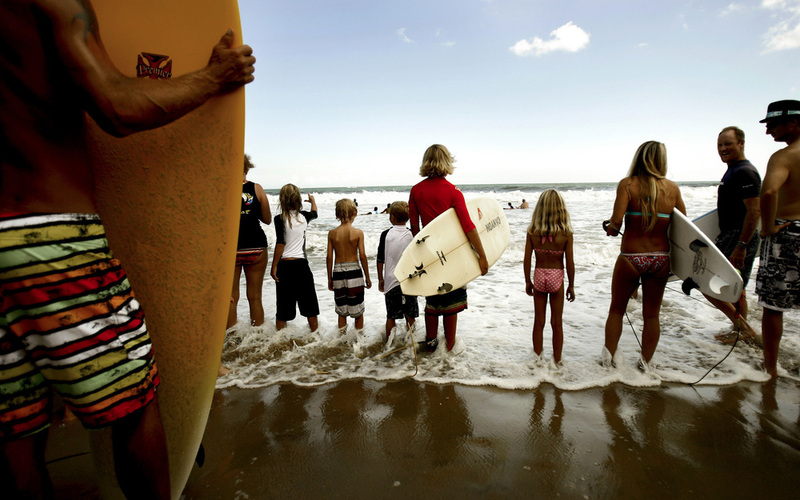 2012, Kayla Durden of Fl., waits on the beach for the start of her Viridian Women Pro Heat, at the East Coast Surfing Championships. 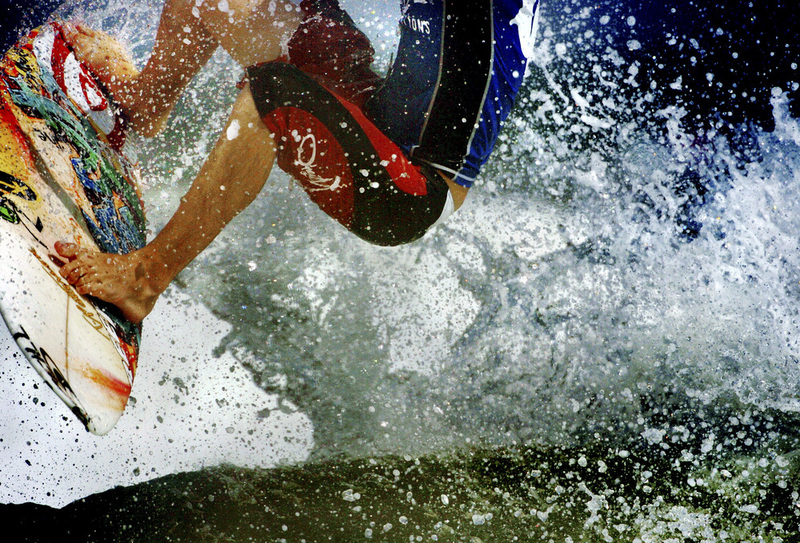 2004, Alek Parker gets some air during his Pro heat at the East Coast Surfing Championships. 2008, ASP world champion Mick Fanning from Australia, does a 360 air in front of the ECSC crowd during an exhibition surf session. 2009, Paul West and Wes Laine working the crowd during the ECSC. 2012, Crowd gathers to watch the Miss Coastal Edge ECSC Swimsuit Pageant. 2009, Jessica Harris, age 23, of Va. Beach, pauses on the end of the runway during the Miss ECSC Swimsuit Pageant . 2012, A crowd gathers at the end of the 4th Street stage at the Virginia Beach oceanfront to watch the Miss Coastal Edge ECSC Swimsuit Pageant. 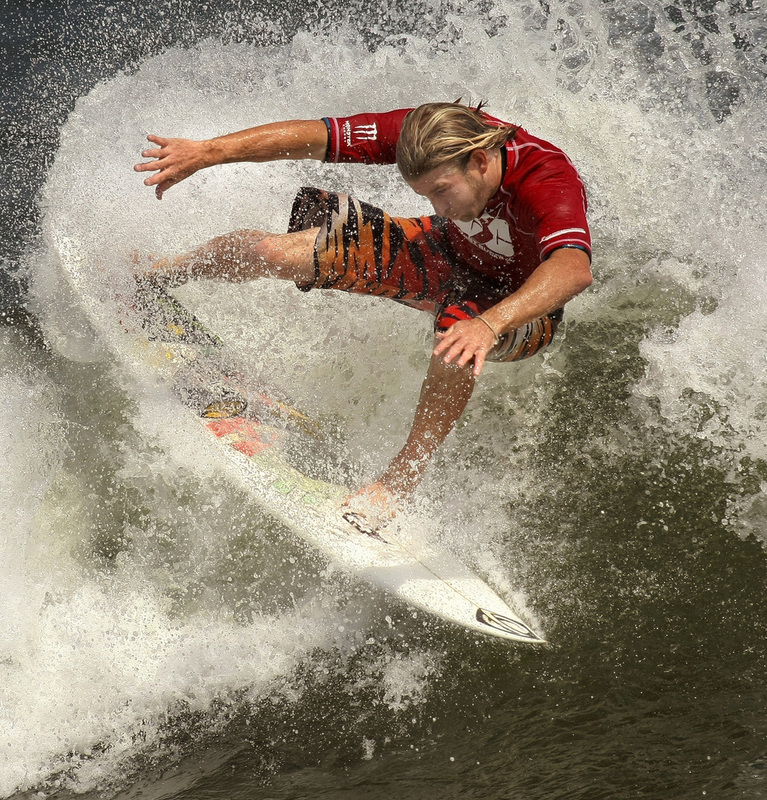 2009, Aaron Cormican of Fl., pulls off a 360 tail slide during the men's pro finals at the 47th Annual East Coast Surfing Championships. Cormican would win the ECSC pro men's title. 2011 The contest most go on, morning after Hurricane Irene made it's way over Virginia, the East Coast Surfing Championship officials setup to finish the Coastal Edge 49th Annual East Coast Surfing Championships. Judge's setup in chairs on 1st street beach in Virginia Beach, Virginia like the old days before the elaborate scaffolding. 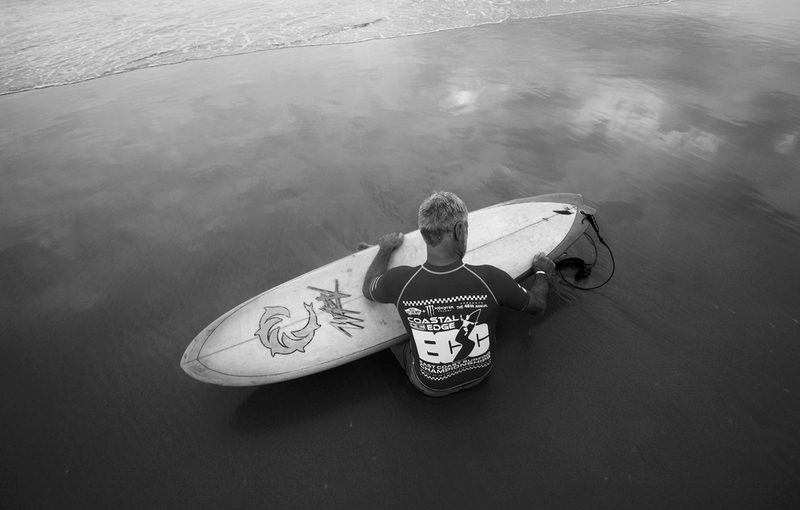 2013, Joel Tudor during the Coastal Edge ECSC. 2009, Super Grom event during the 47th Annual East Coast Surfing Championships. 2012, Filipe Toledo of Brazil, pulls off a 360 air, during the Vans Pro Mens semi-finals at the Coastal Edge 50th East Coast Surfing Championships. 2010, Evan Barton tail slides his board as he cuts back on a wave during his heat in the Junior Division at the 48th Annual East Coast Surfing Championships. 2014, Michael Dunphy of Virginia Beach, Virginia wins the Vans Pro Final at the 52nd Annual Coastal Edge East Coast Surfing Championships. 2005, Lindsey Bowman a 16 year old junior at First Colonial High School competing in both the long and shortboard competitions. 2011, Deepak Nachnani owner of Coastal Edge surf shops is widely regarded as the man responsible for the current boom of the East Coast Surfing Championships. Deepak gives long time local surf icon Pete Smith a hug inside the Coastal Edge surf shop. 2011, Coastal Edge East Coast Surfing Championships before having to close the beach because of a state of emergency due to an approaching hurricane.